Uncompressed digital data including external sync, camera control and audio signals can be transmitted via the BRU-H700 when used with the BRBK-H700 HD optical multiplex card installed in the BRC-H700. 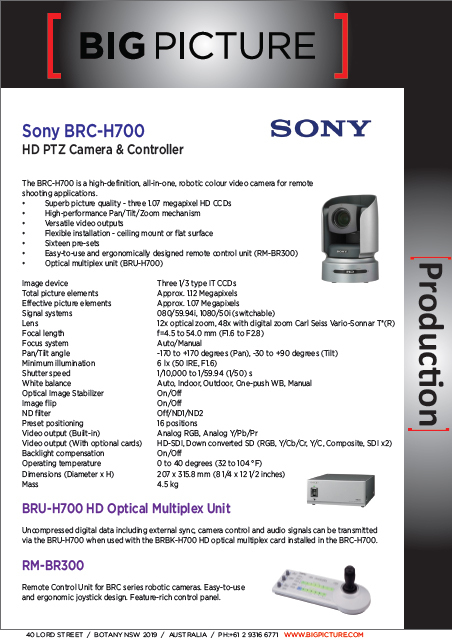 Remote Control Unit for BRC series robotic cameras. Easy-to-use and ergonomic joystick design. Feature-rich control panel.